Sushi @ Sushimoto There’s simply something amazingly good about fresh sushi, and if you’re up for plenty of choices, head on over to Sushimoto just a short drive outside of Destin. It’s hidden in a rather ordinary shopping mall, but once you set your eyes on their innovative servings, you’ll surely come back for more. Oysters @ Boshamps Seafood and Oyster House If you’re an oyster fan, you’ll probably be raring to go, but for the uninitiated, rest assured that there are both raw and cooked options available. You might want to grab a light snack just before heading over because the wait can be long, but otherwise, do expect generous portions as well as great fish options to choose from. Hushpuppies @ Louisiana Lagniappe Of course, the hushpuppies aren’t the only attraction here, but we must say that they’re mighty addictive just on its own. Once you arrive, you’ll get to enjoy great harbor views and top-notch service. Of course, there’s plenty of fresh seafood and steaks you can try out, and you can also give their special stuffed grouper a taste. Shepherd’s Pie @ McGuire’s Irish Pub Wholesome cooking isn’t exactly easy to find outside of your own home, but McGuire has managed to achieve that with their savoury shepherd’s pie. Expect generous portions for everything on the menu, and you can also try out their tender sizzling steaks. 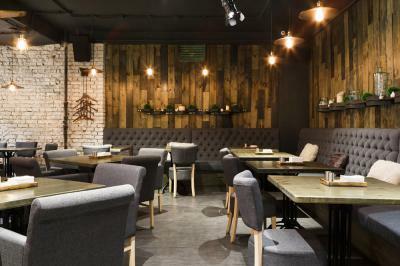 If you’re looking for a drink, you can choose from their selection of home-brewed beers as well as cocktails served in jars. Amberjack Sandwich @ The Back-Porch Seafood & Oyster House For those wondering what an Amberjack is, it’s actually an Atlantic and Pacific fish. This 40-year old establishment is famed for their Amberjack sandwich made from locally caught fish, but that’s not the only thing you can look forward to here. If you’re thinking to have this popular sandwich, you’ll be pleased to know that you can order it chargrilled, fried, bronzed, or blackened. Look no further for an amazing experience in Destin with our reliable ground transportation service and count on the best limo service Destin FL can provide. Our experienced chauffeurs are fully equipped and vetted for responsible driving, so just let them know where you’ll like to go and let us do all the work. Give us a call or book our Destin limo service online, and we’ll be more than happy to provide you with whatever information you may need. We’re looking forward to hearing from you, so don’t hesitate to reach out!